First things first: my story “Sensitive, Compartmented” is tentatively slated for the April/May 2012 issue of Asimov’s Science Fiction. I’m very happy about that, so it gets top billing on the blog. For today’s space history tidbit: 40 years ago today — October 28, 1971 — Great Britain became the sixth nation to launch a satellite on its own rocket when a Black Arrow launch vehicle lifted the Prospero satellite out of the Woomera Test Range in Australia. And speaking of Australia: the Australia party last night at World Fantasy Con seemed to go very well — a good crowd, and everyone seemed to enjoy themselves. Imagine my surprise at learning that I now have a page of my own in the Internet Speculative Fiction Database. The page lists all of my published stories to date, which is pretty cool. The database is maintained by a rather large community of volunteers, so I have no idea who entered my information. As a result, I can only offer general (but genuine!) thanks to the kind person(s) responsible, and wish them — and you — only the very best. Twenty years ago today — August 2, 1991 — the Space Shuttle Atlantis launched from Kennedy Space Center carrying five astronauts and a new Tracking and Data Relay Satellite. The mission STS-43 crew, John E. Blaha, Michael A. Baker, Shannon W. Lucid, G. David Low, and James C. Adamson, released TDRS-E the same day, but remained in orbit another week conducting a variety of experiments. 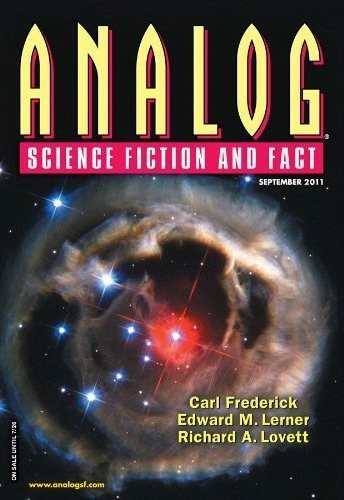 In other (non-space-history) news, yesterday my speechwriting teacher Joan Detz kindly blogged about my story in Analog. Thanks, Joan! My friends with more stories in print than I have many different perspectives on reviews. Some avoid anything that smacks of a review, others read every review and pay them greater or lesser amounts of heed, and some study the reviews — good or bad — to see what lessons they can learn from them to improve their craft. I would like to take that final approach, but only time (and hopefully some future publications) will tell. But with that as an aim, at least, I’ve read a few reviews of “Therapeutic Mathematics and the Physics of Curve Balls,” my story in the September issue of Analog. Does Joey run after the scientist or return to the freak show and protect his only friends? It’s an agonizing choice. This SF/F story takes place in the early 1940s, right about the time J. Robert Oppenheimer’s involvement in the Manhattan Project succeeded in changing the world forever. Who, other than Gray Rinehart ever imagined solving the final equation was due to the genius and youngest member of Fineas Ferguson’s Fabulous Freakshow on his one, lonely, stolen day? Sensitive character creation, believable atmosphere, clever conclusion. Well done. I enjoyed it. To some people that might come across as negative, but the fact that she thought the story situation was interesting and that I served up “tantalizing hints” of more is, to my way of thinking, pretty good. All the reviews aren’t in, of course, and doubtless some readers will not have enjoyed the story at all. I’m pleased that anyone enjoyed it, but most especially that Dr. Schmidt enjoyed it enough to publish it! This goes to show, I think, that every story is not for every reader. 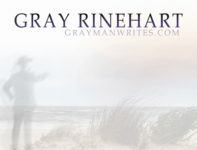 Still, I appreciate the work the reviewers do month in and month out — living deep in the slush pile as I do, I do NOT envy them their task — and I hope to use the comments, good or bad, to make my next stories even better. Got an e-mail from the Writers of the Future folks a couple of days ago, with the news that I earned another “Honorable Mention” in the quarterly contest. This brings my tally to 6 Honorable Mentions and 1 Semi-Finalist out of 13 total entries (including one sent in about a week ago). Now to figure out where to send this little contemporary fantasy tale. And to start writing the next story. For the curious, the first part of my story, “Therapeutic Mathematics and the Physics of Curve Balls,” has been posted online at the Analog Science Fiction & Fact web site. Scroll down about half-way on the front page for the start of the excerpt, which will probably only be active while the magazine is on sale … say, for another month or so. Or, if you prefer, here’s the direct link. This still seems a bit surreal to me, but in a good way. My short story “The Tower” is now available as part of the latest compilation from Crossed Genres. “The Tower” is a swords-and-sorcery fantasy story, though much more swords than sorcery. 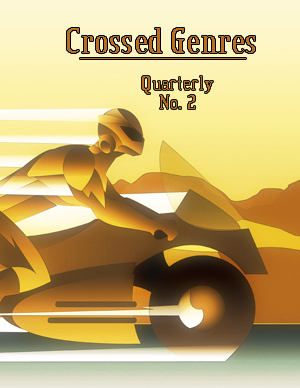 You can buy a copy of Crossed Genres Quarterly No. 2 in either electronic format ($2.99) or in hard copy ($11.95). Bear in mind that this is a compilation of three issues of the Crossed Genres online magazine, plus three extra stories … one of which is mine. Ten years ago today — March 23, 2001 — the Mir space station fell to Earth. The first components of Mir were launched in February 1986, as I noted in this space history blog entry. 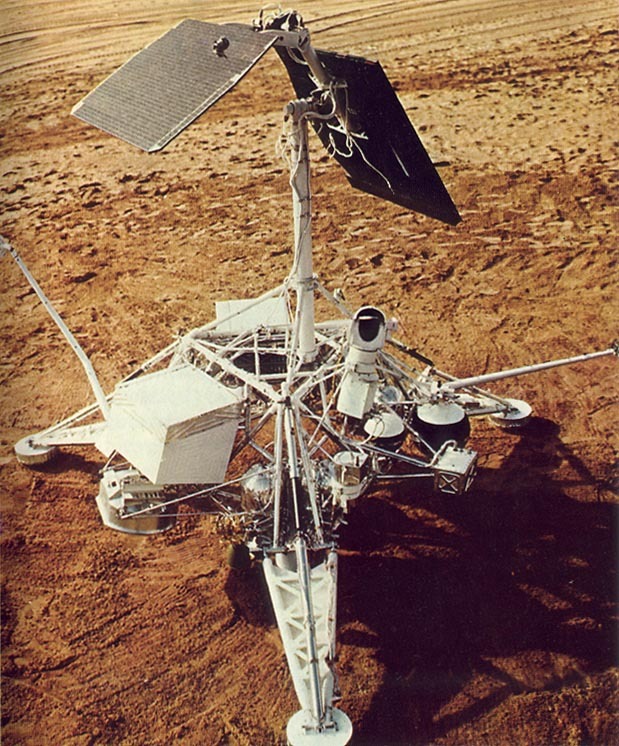 The station remained in orbit three times longer than its design life of 5 years. *To complete the shameless plug, you can add “The Rocket Seamstress” to your own made-to-order anthology of short stories on the Anthology Builder site.